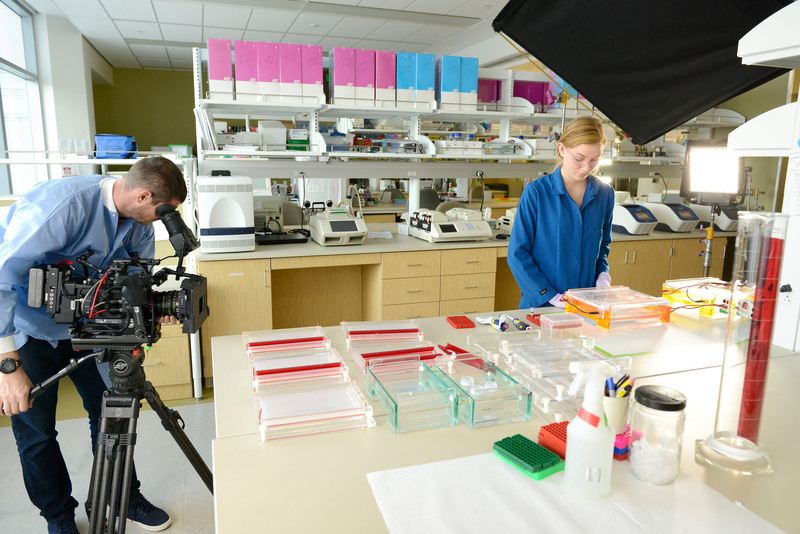 Time Magazine Video Unit videotapes Laboratory Technician Cheyenne Coxon in the One Health Institute Laboratory for an upcoming feature on the One Health program. As I look toward the future of the School, I am struck by the incredible impact our people make in our society, advancing the health of animals, people, and the planet. This past year brought us many accolades as we relished the accomplishments of our students, staff, and faculty. The numerous stories that originated from our dedication ranged from cases of individual animals that were made healthy by the exceptional care provided by our talented clinicians and staff, to major discoveries that will set the stage for research into problems faced by our society. 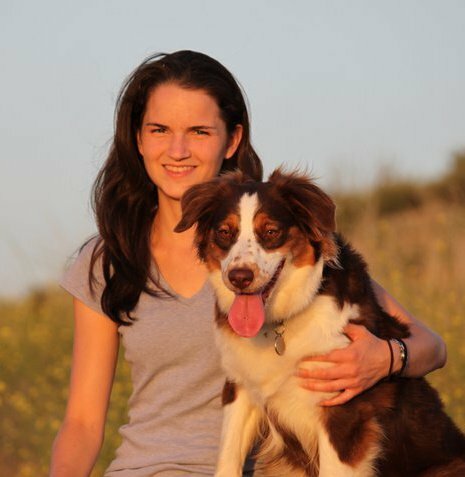 Whitney Engler (who died in 2015 shortly before graduating) and her dog Rosie. We also had heartbreak in 2015 with the tragic death of one of our students, and we suffered along with the victims from the Valley and Butte fires. Most of these events could not have been predicted at the beginning of 2015, but we faced them with the courage and dedication that make us a global leader in veterinary medicine and biomedical sciences. We have many ambitious goals for 2016, including the opening of two major facilities: the Veterinary Medicine Student Services and Administration building and the new South Valley California Animal Health and Food Safety Laboratory in Tulare.